In the middle of cookouts, family vacations, and lazy days spent by the pool, it can be hard to start thinking about the coming school year. Even though summer is in full swing, however, the first day of school will be here before you know it – so it is time to start preparing the back to school list now. Colored pencils? Check! New lunchbox? Check! Dentist appointment?… Check? If making a trip to the dentist isn’t on your back-to-school list, it should be. Continue reading below to find out how a trip to the dentist this summer is about more than just a healthy smile – it is also about excelling in the classroom. Your child’s oral health can directly affect their ability to perform well in school. Toothaches can make it harder for your child to focus in class, meaning they miss some of their daily lessons. If they are experiencing dental pain, they may also feel less comfortable answering teachers’ questions or taking an active part in class discussions. Difficulties in paying attention and participating in class can easily have a negative impact on their grades. Serious dental issues could also lead to your child missing out on some classes altogether. 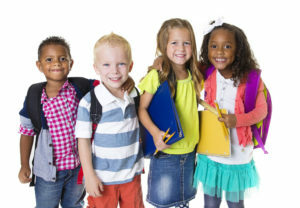 According to the American Dental Association, dental diseases cause children to miss more than 50 million hours of school each year, either due to pain or because of an urgent dental care visit. Preventative checkups with a family dentist can help identify and treat dental issues before they develop into bigger problems that could force your child to lose valuable time in the classroom. Tooth decay is the most common chronic disease for children ages 6 to 19, according to the Centers for Disease Control and Prevention. By following these oral health recommendations and scheduling a back-to-school appointment with a dentist, you can help ensure that your son or daughter will start the new school year smiling. Born and raised right here in San Antonio, Dr. Joseph Noble has been helping improve smiles for over 20 years. A proud member of the Texas Dental Association, Dr. Noble takes a small-town approach to care and makes sure each patient feels comfortable from the moment they walk in the door. If you want to learn more about Dr. Noble and his practice, visit his website today or call the office at +1 210-342-1001.